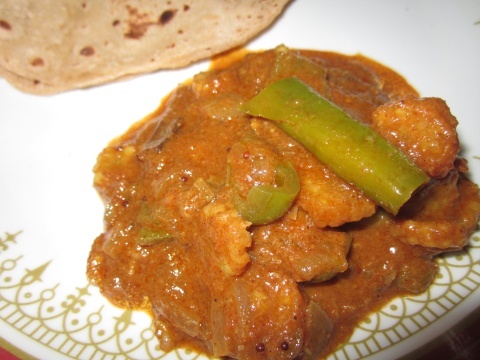 Spicy & Delicious Baby Corn Masala Gravy consumes less time to prepare. You can also try chicken in the same way. It will give different taste. Milk is added to make thick gravy. You can also add paneer (cottage cheese). Boil the baby corns in water for 10 mins. Cut it into thin round slices. Heat oil in a kadhai and temper mustard seeds, cloves, cinnamon stick and cardamom. Add chopped onions and green chilli. Saute for a while and add ginger-garlic paste. Add tomato puree and mix well. Add turmeric powder, red chilli powder, garam masala and mix everything. Add baby corns and sliced capsicum. Add salt to taste. Fry for two minutes and add milk to the gravy. Cook it covered for 15 mins till the oil separates. 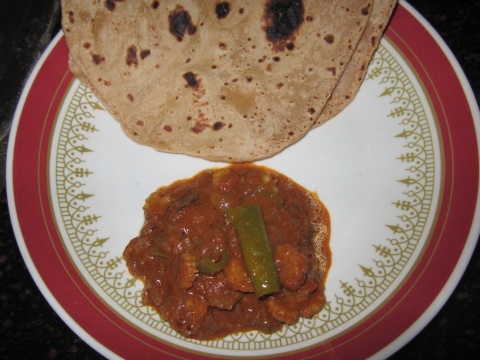 Serve hot with chapati or any roti varieties. You can also serve it with steamed rice.